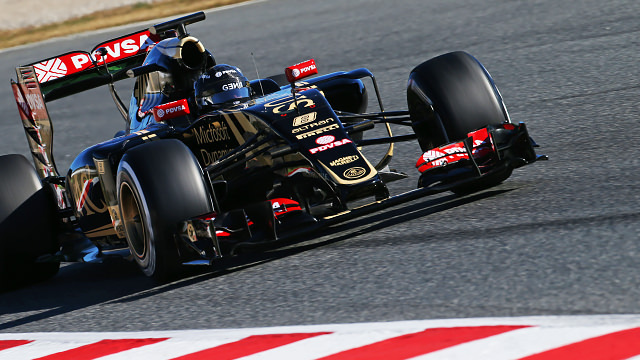 Lotus was born from the roots of the Renault team, which meant they had an underperforming car in 2014. Off the back of some good results the previous year, the season was a disappointing one for both drivers Romain Grosjean and Pastor Maldonado. Switching to the Mercedes engine in 2015 helped recover some momentum but by the end of the year, Renault returned to the sport as a works team, buying out Lotus. In 1981, the Toleman company entered Formula One for the first time but failed to qualify for all but two of the races. Ayrton Senna made his F1 debut with the team in 1984 but left after one season. The team were bought out by clothing retailers, Benetton, and in this guise they saw championship success with Michael Schumacher. In March of the 2000 season, the outfit were sold to Renault, who returned to having a works team after withdrawing in 1985. More championships awaited Renault, with Fernando Alonso managing to break the dominance of Michael Schumacher (now at Ferrari) in the mid-2000s. Alonso made a brief move to McLaren before returning to Renault but found the results were not as strong. The team were found guilty of race-fixing after a bad decision during the 2008 Singapore Grand Prix, and the sponsors fled. Renault also wanted to distance themselves from the drama, and took a step back, selling a majority stake in the team to Genii Capital. Entered as Lotus Renault, the team endured an extended battle over naming rights with the Tony Fernandes-owned Team Lotus but soon ended up the sole representative of the brand – eventually called Lotus Racing. Éric Boullier was announced as team principal, despite not having any experience of running an F1 team, and their initial results were good, if inconsistent. Ahead of the 2012 season, Lotus confirmed Kimi Räikkönen would be making his comeback with them, the Finn fresh from time out spent rallying. Partnered with Romain Grosjean, the pair continued to see success, with Kimi winning a couple of races and both drivers a regular feature on the podium. Towards the end of 2013, the team’s relationship with Kimi soured, harsh words were spoken over the radio and it emerged that Räikkönen wasn’t being paid according to his contract. He departed at the end of the year, two races early. The team got the 2014 pre-season off to a sluggish start, missing the first testing week, and struggling with the Renault power unit. Grosjean continued with the team in 2014, whilst they also signed Pastor Maldonado from Williams. Crucially, ahead of the season Éric Boullier left for McLaren, leaving Genii boss Gérard Lopez to take up the team principal role. Results were very disappointing throughout the year, with Romain Grosjean particularly vocal at the Singapore Grand Prix with regards to the disappointing engine and his qualifying grid spot compared to the previous year (13th compared to 3rd). Despite the struggles, both drivers stayed on for 2015, hoping that the team's switch from Renault to Mercedes power would aid them to get better results. It didn't work out exactly as they'd hoped, and at the end of the year, Renault retook control of the team to create a works team once again. Pastor Maldonado had sponsorship issues which meant he could not continue to drive for Renault, and he was replaced ahead of the 2016 season by Kevin Magnussen, who was joined by British racer Jolyon Palmer. The team expected to have a difficult season as they started to build up their works team again, and they weren't disappointed - just three top ten finishes occurred during the season. At the end of the year, Magnussen confirmed a move to the Haas F1 team, just as Grosjean had done before him, and that left a spare seat at the Renault squad. This they filled with the ex-Force India driver Nico Hülkenberg, who was looking for a works team to really bed in with and start building around himself. The challenge was set for the 2017 season. 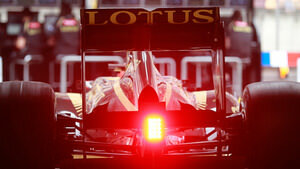 Learn more about Lotus with the Pocket F1 Handbook. 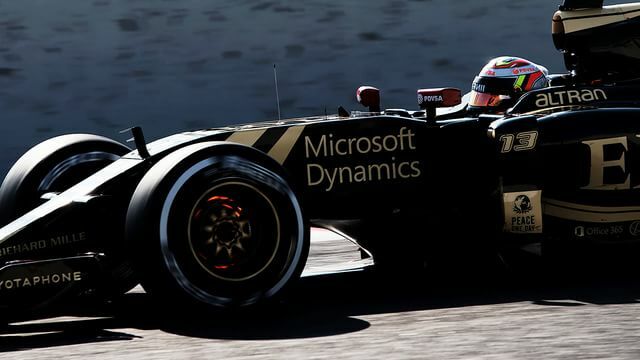 29/11/2013 Pastor Maldonado to join Romain Grosjean at Lotus in 2014.